We have a passion for remodeling and building, and for excellence, that you're not going to find in our competitors. We love the way it looks when our carpentry is just perfect. 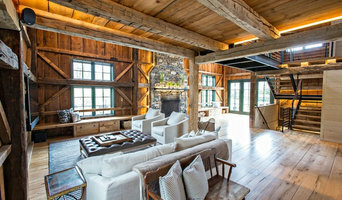 Middlesex County's Premier Renovation, Restoration & Conversion Co.
We are builders with decades of experience specializing in Historic timber frame homes and barns. At Harper Elm, we excel in completing the highest quality work. For thirty years, we've had the pleasure of building, remodeling and repairing some of the most beautiful homes in the Boston area, and have built long lasting relationships in the process. Wendel Klein Builders, Inc. is a full service residential and light commercial remodeling company. Wendel Klein Builders, Inc. (WKB.) was founded in 2007 by Master Carpenter Jared Klein. Employing in-house project managers, carpenters, painters, and a closely-knit team of subcontractors, WKB brings the finest work and exceptional customer service to its clients. At Wendel Klein Builders, communication is a core value. From the planning stages to the finishing touches of a project, we will be available to answer your questions and discuss your ideas and concerns. We believe that a good working relationship is key to a successful project and that the key to a good relationship is communication. This open dialogue facilitates the design of your renovation and fosters trust between client and contractor. We feel that the best approach is one that leaves nothing to chance or surprise. Remodeling, especially while living on-site, can be a tiring and trying experience. Our homes are our sanctuaries, and when they are disrupted, it can be stressful. At Wendel Klein Builders, we understand this, and do everything possible to make this process predictable and comfortable for clients. We do our best to maintain household harmony by preparing the client for what to expect and when to expect it. For many people, remodeling is a once-in-a-lifetime experience. For WKB, it is second nature. After all, we are the professionals. For more than 30 years, Marvel Construction has collaborated with homeowners, architects, and designers to bring their vision to life. Marvel Construction is a full-service general contracting and home building firm providing a full range of construction services throughout Greater Boston. Specializing in new construction and renovations, we are committed to delivering the highest level of service and quality projects to our valued customers. If you are looking to build or remodel your dream home, give us a call at (781) 912-3120 or click the "Contact Me" button to send us a message. We look forward to working with you! A multi-award winning firm, S+H Construction collaborates with architects and other design professionals to offer residential renovations, custom building, historic restorations, energy conservation, renewable energy, site work and landscaping solutions. Serving the greater Boston area for over 30 years, S+H provides a dedicated team who share a commitment to customer satisfaction. Boston's Leading Design Build Remodeling Firm Best of Houzz 2014-2017! With over 14 years of experience, Pegasus Design-To-Build is a full service design build remodeling firm offering planning and construction of kitchens, additions and other quality home renovations. Custom Contracting is an award winning design/build remodeler and general contractor. We specialize in additions, kitchens and bathrooms and also offer services for all your home remodeling, improvement and repair needs. Custom is proud of its reputation for exceptional customer service and client-centered design and production. We've got all your needs covered: from residential remodels, to repairs and everything in between. Don't hesitate to ask us a question or inquire as to why a certain process has to take place. Established in 1979, B&D Building and Remodeling has performed everything from small residential remodeling, to large residential additions, to commercial work. B&D guarantees a one-on-one commitment from start to finish. We believe in delivering high quality construction, with realistic scheduling, and consistent, effective communication throughout any size remodeling project. We are an experienced group of construction professionals, dedicated to providing you with superior, high quality construction. We understand the need and importance of keeping things orderly, neat and clean during your improvement project. Our commitment to detail remains consistent for minor to major remodeling; both commercial and residential. Our goal is to provide services that exceed your expectation. We pride ourselves in performing quality work at a fair price and satisfying our customers. Established in 1979, B&D Building and Remodeling has performed everything from small residential remodeling, to large residential additions, to commercial work. 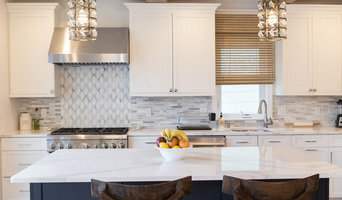 Feinmann Inc. specializes in Kitchen and Bath Remodeling and is known for their thoughtful and beautiful designs, well-articulated process, superb craftsmanship, responsive service, and great value. Morse Constructions, Inc. is an award-winning firm with 40 years of experience creating renovations and additions for Boston-area homeowners. Our work was recently featured in BostonMagazine.com and we were recognized as a regional winner in a 2015 national remodeling competition. Our goal is to create spaces that enhance our clients' lifestyles through a collaborative, fun, clearly defined process. We offer specialized expertise in universal design, aging-in-place, sustainable building and historic renovation. Just Woodcraft, Inc. is a Cambridge MA based family business with a rich history of multiple generations of highly-skilled tradespeople and construction professionals. Do you want to tear down your home and rebuild it into the dream home you always wanted? Have you always dreamed of a beautiful bedroom, or adjusting your basement to use it for more than just storing unwanted junk? Aureli Construction will help you make the most of your house or business. Oteri Construction was established in 2002 by 2nd generation woodworker Edward Oteri and Montreal native Jennifer Moore. 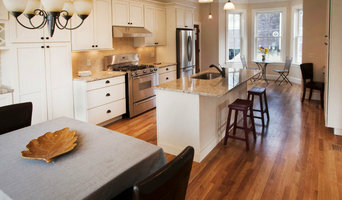 The firm specializes in high quality renovations, construction and woodworking. We are an owner operated residential construction company specializing in the kitchen and bathroom remodeling. We have been serving clients in the Boston Metro area since 2009. Call us for a free estimate. ASB is a family owned and operated, we perform all levels of building and remodeling. We offer start-to-finish solutions for every project. We also offer full design services. We specialize in interior or exterior home renovations, including bathroom and kitchen remodeling, home additions, garages and more! We guarantee high-quality construction for each and every project. Check out samples of our recent work,and you'll agree that we're the best choice for your home renovation project. Sage Builders LLC is an award-winning residential renovation company providing integrated design and construction services for Boston-area homeowners. For more than four decades, Charlie Allen Renovations has been remodeling and restoring homes in the Greater Boston area. In that time, we’ve accumulated numerous awards and recognition, including 15 Cambridge and Somerville Preservation Awards, 5 Contractor of the Year awards, Boston Magazine’s Best of Boston, Remodeling Magazine’s Remodeler of the Month, Boston Globe Magazine’s Bathroom of the Year, and more. But more importantly, we’ve achieved the wishes and dreams of scores of area homeowners. Every year, a large percentage of our business comes from referrals, and it’s the recommendation of these former clients that is the greatest validation for both our work and for our process, which many find unusual at the beginning. At Charlie Allen Renovations, we put a lot of emphasis on the planning stage of every project. We don’t rush onto a job site and start demolition. Instead, we spend a good amount of time working closely with our clients to ensure that our plans perfectly address their needs, that we’ve considered and addressed potential issues, that we’ve explored innovative solutions and unexpected products and materials, and that we’ve developed a fixed-price contract that is realistic and eliminates surprises. This can be challenging for homeowners who want to get moving right away, but ultimately, it’s the most efficient method for achieving a successful renovation, completed on-time and on-budget. Groom Construction is a leader in commercial, retail, multifamily, and luxury home construction and remodeling since 1979. Our growth and success has been driven by our steadfast commitment to Groom’s two founding principles: building quality projects and long-lasting relationships. Our management and design team averages over 35 years of industry experience providing expert estimating, cost analysis, value engineering and full construction services. We are fully licensed and insured contractors that specialize in high quality workmanship. 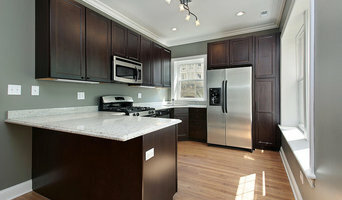 At r3construction, we specialize in fine home building and artisanal remodels. Combining our 77 years of field experience, we continue to look forward, investing in the latest building materials. Jurado Construction is a boutique building company based in Cambridge, MA. John Jurado (Senior Managing Partner) is a licensed general contractor with over 30 years of building experience. John supervises all construction activities and is best known for his excellent craftsmanship and attention to detail. John strives for perfection on every project and holds his team to the highest standard. Juan Jurado (Managing Partner) manages business development and pre-construction. Juan enjoys building innovative structures and complex renovation projects. Prior to joining Jurado Construction, Juan co-founded Built Robotics and managed over $1.5 billion in multi-family residential projects as a GC and Developer. Juan graduated from Stanford in 2012 with a degree in Science, Technology and Society and a concentration in Human-Centered Design. As a boutique firm, our managing partners work closely with every client to ensure an exceptional experience. We build relationships with our clients and safeguard your home investment by providing the finest materials and building methods. Our success has been the direct result of our devotion to providing industry-best customer service, professionalism, and quality workmanship in our craft. We guarantee to exceed your expectations! If you're on the brink of a large home improvement project, remodel, or new build, you'll likely want to hire a general contractor in Belmont, MA. These professionals manage all aspects of the job to ensure it's completed on schedule and to your satisfaction. Whether you’re trying to find Belmont building contractors for a new construction, or home improvement contractors to spruce up your existing place, it’s important know exactly what role they will play in the project. Read more below for a list of must-ask questions. General, or construction contractors, are often known as project managers. They oversee the entire remodeling or new home construction project and facilitate all day-to-day tasks that move it toward completion. A Belmont general building contractor will work with your architect to review plan as you build a house and ensure everything is in place before work is started as well as arrange for permits and necessary inspections. While good local home improvement contractors in Belmont will have the skills to handle certain tasks onsite, such as carpentry, he or she is also responsible for hiring subcontractors for the majority of jobs, such as electrical work, painting or plumbing. In addition, the general contractor should be on-site regularly to inspect the progress and resolve issues. Here are some related professionals and vendors to complement the work of general contractors: Architects & Building Designers, Interior Designers & Decorators, Landscape Architects & Landscape Designers, Kitchen & Bath Designers, Specialty Contractors. Home remodeling contractors are a must for successful completion of a renovation. Because of this, it's essential that you do your homework before deciding on the right general contractor in Belmont as you remodel or build a house. Inspect bids carefully. Was it ready when the contractor promised it? Was the bid for building a home unusually high or low? Each of these things can be very telling: A late bid may reflect timing standards, and an off-the-mark bid could be code for a pricey premium or a deliberate underbid to score the remodeling job. You should call references, carefully read reviews and visit completed projects in Belmont, MA to see if they’re what you expect for your job. Once you do secure your local Belmont contractors, read the contract very carefully to be sure everyone is on the same page. Find a Belmont contractor on Houzz. Narrow your search in the Professionals section of the website to Belmont, MA home contractors. You can also search for photos in Belmont, MA and contact the Belmont general contractor who worked on the project.